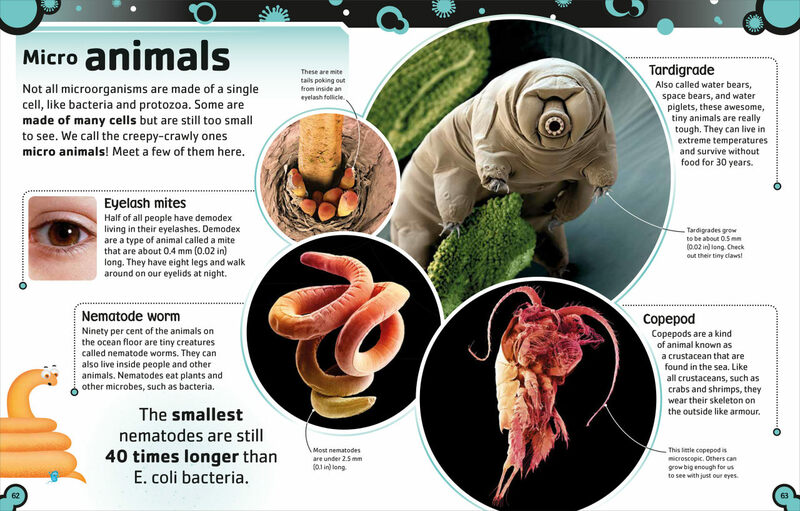 We’ve rounded up our favourite icky-but-awesome human body facts from The Bacteria Book. Get ready for some gorgeously gross information! A person carries about 2 kg (4.4lb) of bacteria in and on their body. When the spores of certain fungus, called Ophiocordyceps unilateralis, land on an ant, they spread through the ant’s body. 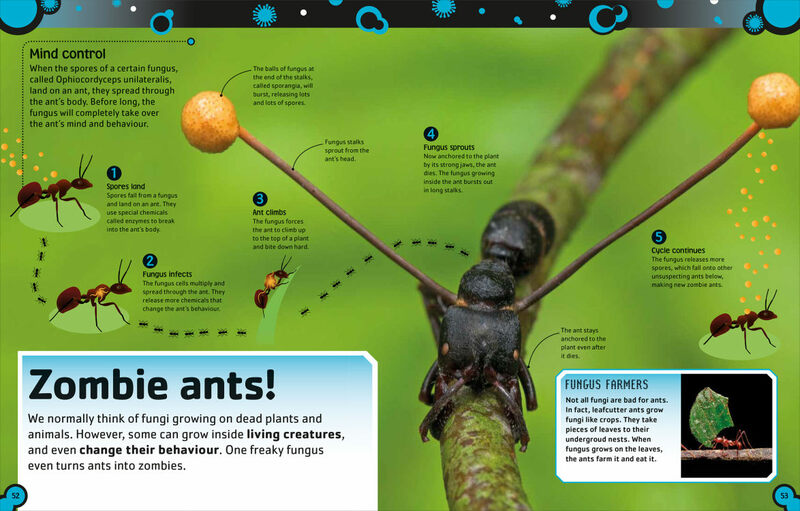 Before long the fungus will completely take over the ant’s mind and behaviour! Teeth and gums and what?! Half of all people have demodex living in their eyelashes, a type of animal called a mite that is about 0.4mm (0.02 in) long. Demodex have eight legs and walk around on our eyelids at night! About five million trillion trillion bacteria are alive on Earth, which together weigh more than all the plants and animals combined!